QM: I visited Mabel’s grave today, before knowing that it was her birthday. Fortunately, I showed-up with gifts… a scrap of an Auden poem and a bit of dark chocolate. It was our “free” afternoon today, so, I’m glad that I could spend a bit of it celebrating with Mabel. The weather has been beautiful here this week, springlike, and all the snow piles are melting. Wish you were here. breathepeace, how wonderful you visited Mabel today. And bearing gifts. If you are so inclined, I’d love to hear the bit of Auden. A free afternoon. I remember sometimes finding it so pleasurable to simply take a long nap on the free afternoon. Or walk into Taos, sidewinding through the cemetery. We are being blasted with a blizzard here in Minnesota today. I mean it’s crazy windy, cold, and we got dumped on with tons of snow. Lots of places closed early. The roads were bad even for here. I’m imagining Spring in Taos. Those wet muddy roads under the stars. Thanks for stopping by breathepeace. Hard to believe it’s almost Thursday already. Now how did you remember, QM? Do you have the birthdays of Fitzgerald and Lawrence and Mabel and others in your calendar? When you felt the ghost of Mabel, and I remember you sharing that you had, you didn’t look up. I imagine it was frightening, no matter how much one admires Mabel, to feel such a strong and sure presence of a ghost. ybonesy, I don’t often remember writers’ birthdays like that. But I’ve visited Mabel’s grave quite a few times and read a lot about her, so the month always sticks for me. I sometimes have to check to make sure I have the right day. Same with Fitzgerald. You know what I like about Garrison Keillor’s Writer’s Almanac that we get in our email boxes is that he often will celebrate a certain writer’s birthday and it always puts me in a celebratory mood to hear him do that. Celebrating the day a person was born, even long after they are gone, seems like such an honoring thing to do. Great post, QM. It’s delightful to learn about visionaries. I’d like to see that vintage bed. It’s good someone stopped Dennis Hopper and his chainsaw. Stevo, thank you. I’m drawn to people who go after there dreams and visions. I like to learn how they did it. How did they have the guts? Did they come from wealth or figure out the money part along the way? What was the vision exactly? It seems like a lot of the people who congregated around Mabel Dodge in New Mexico at that time, all had their own vision they were seeking, including D.H. Lawrence and O’Keeffe. People with vision inspire me. These were strong-minded people who knew exactly what they wanted and were not afraid to go after it. And sometimes all three of these people left others behind or let go of those who did not support their dreams. I think they experienced intense loneliness, too, and had to endure much criticism from other people. 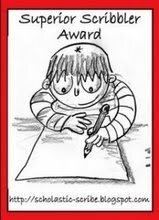 It seems like part of the criteria for being a visionary is to NOT have a thin skin; to keep getting back up when you fall; to keep doing your work. QM, I finally got back here to read this. The first time I ever visited the adobe was around 1989-90. I had just finished another book on O’Keeffe where Mabel was featured when my husband came home to tell me he was laid off. We had just put in an offer for our first home so I knew he was devastated. Instead of putting my head in the sand, I grabbed his hand, put him in the car and made him drive from California to New Mexico. I found this weird animal farm place at the side of the road and bought an even weirder hand drawn map book for 2 dollars. It magically lead us to all the O’Keeffe haunts. We found her Abiquiu house and peeked over the fence (long before it was open to the public), walked the grounds of Ghost Ranch and ultimately found the trail to Mabel’s place. It was through a winding dirt road that, at the end, we came upon this crumbling, but still beautiful Adobe. I can still clearly see a path lined with old birdhouses. I knocked on the door, smiled and asked if we could stay. We got to sleep in the room that Ansel Adams had slept in and used the bathroom where DH Lawrence hand painted all the windows. I walked those paths knowing my 2 idols (Georgia and Ansel) had been there before me and I felt their presence. We left the next day on to another adventure at the Lawrence Tree and went home to prepare for a new life. I leased my little studios one year ago today and Anuvue open in July with my hand selected, gifted…and most important…deserving people. God willing, it will continue despite whatever this economy throws at us. Happy belated Birthday Mabel. Pinch Tony for me. Heather, that is such a touching story about driving from California to New Mexico in search of inspiration. And you found it with O’Keeffe and Mabel Dodge’s places. I’m so glad you took the risk, grabbed your husband’s hand and went on that pilgrimage. It is pilgrimages like these that inspire us to do greater things with our lives. And you have done it by creating your own gallery and invited artists to show there. I’m amazed at all you have accomplished. Heather, I just read your account after a long and hectic day. My eyes are burning with dust, I’ve been running around from what feels like one crisis to another. Oh, how you made me smile. Happy Birthday Mabel. I’ve kind of had a grudge against you, but Heather just got me to let go of it. Heather, just got back to read your story. Thank you for posting it here. It is perfect wisdom for facing this shaky economy. Indeed, instead of putting my head in the sand, I, too, will seek inspiration and a creative dream! breathepeace, thanks for coming back and adding that bit of Auden poem. Clinging to illusions…I wonder why it’s so hard to let go. “We’d rather die in the dread”…powerful. diddy, thank you. Studying in Taos with Natalie, researching the history of the land, the different cultures, the artists and writers who lived there, going back to the same place so many times, meeting and talking to the locals, continuing with some kind of practice, have changed my life in so many ways, there is not enough room to even list them all here. It’s also good to take breaks from going there. To have time to compost and digest all that is learned. I think both are valuable. The hardest thing for me is to learn how to apply what I learn there to the rest of my life. That’s the challenge! I do hope to go back again sometime and sit in the silence. To all of our friends in Taos, New Mexico this coming week (and those friends there for the last retreat, was it just last week? ), please say Hi to Mabel Dodge Luhan, Tony, and all the other ghosts who inhabit the land there and roam most freely at night. 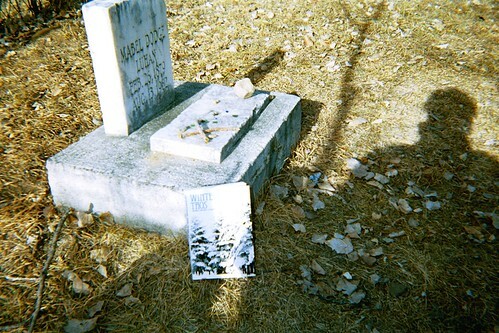 Also, don’t forget to visit Mabel’s grave. She had a vision for writers and artists and we’re all still a part of that vision. Even red Ravine can trace her ancestry all the way back to Taos, Mabel’s journey to Taos, Natalie’s workshops, and all those who work hard at Mabel Dodge’s former home to help keep the legacy and her vision alive. Thinking about you all and Natalie this week while you sit in another week of silence. Be well at the Mabel Dodge Luhan House. Many thoughts and love will be sent to Enchanted New Mexico. Dennis Hopper in the news now–under 100 pounds and about to die from cancer. He’s getting his star on the Hollywood Walk today, and fighting to get his fifth divorce before he dies. I could never see him at Mabel Dodge…there is no place in my brain for that to go. What happens to people? I loved him in the movie “Hoosiers;” I wish there could be a different ending in life for him. Teri, I hadn’t been following the news on Dennis Hopper. But when I asked Liz about it, of course, Ms. Skywire had! I didn’t know about the 5th divorce either. You know, a strange tidbit about when Dennis Hopper lived in and owned the Mabel Dodge Luhan House in the 60s. One year when I was going to a Taos writing retreat with Natalie, I stopped at the ABQ airport shuttle counter to get my ticket for the infamous shuttle from ABQ to Taos, and mentioned where I was going. The woman at the counter said she had actually visited the Mabel Dodge Luhan House when Dennis Hopper lived there. She said it was a wild and crazy time, a different time, when it was treated kind of like a commune. She said you had to have come of age in the 1970s to really get it. I think she told me a few wild tales while I was waiting for the shuttle. You just never know who you are going to meet on the way to a Taos writing workshop. I bet I have a story from every visit! Came back to add the link to Dennis Hopper getting his star on Hollywood’s Walk of Fame. He is looking frail. I had not seen him in the media for some time. 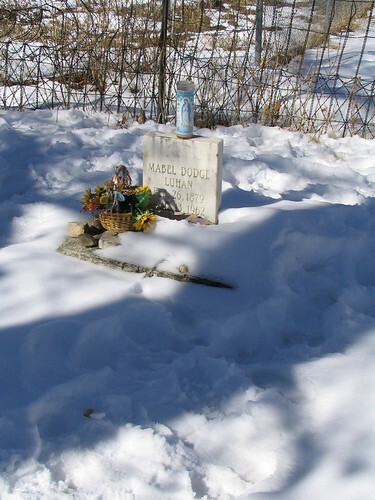 It’s strange to think that he crossed paths with Mabel Dodge at one point in time by owning her house. If what I read is true, that he almost chainsawed the hand-carved bed frame to get it out of her bedroom but was talked out of it, I’m glad he listened. The bed is still there. I thought I read that the bar out on the patio was put there by him as well. Not sure if that is true or I made it up. At any rate, I remember Easy Rider well. He’ll always be associated with 1960s counterculture. And, for me, the time he passed through Taos, New Mexico. One thing is for sure: we are all born. And we all grow old and die. Those two things level the playing field, no matter who we are. I watched the clip; his voice is the same, but I don’t know if I would have recognized his face. Surely there must be some photos of Dennis in Mabel’s house somewhere; have you seen any? It’s easy to imagine him setting up a wild commune, isn’t it? I’ve never seen “Easy Rider.” I’ve got that move (along with “Hoosiers” on hold at the library. The last time I was in Holcomb, Kansas, my cousins took me to Dodge City–Dennis Hopper’s hometown. It was a very wild place back in the day…lots of bars, saloon girls, prostitution, shoot-outs, and gambling. Maybe Dennis’s wild streak was inevitable. Happy Birthday, Mabel Dodge Luhan. Controversial though you are, you had a vision, and along with Tony, created the space where I come to write with Natalie Goldberg and other writers and artists with a vision. Thanks for inspiring Georgia O’Keeffe, Willa Cather, D.H. Lawrence, Dorothy Brett, and countless others to come to New Mexico to work. Your legacy lives on through all of the people who have created in that magical space. Next time I am there, I will visit your home again. And the little corner of Kit Carson where you are buried.